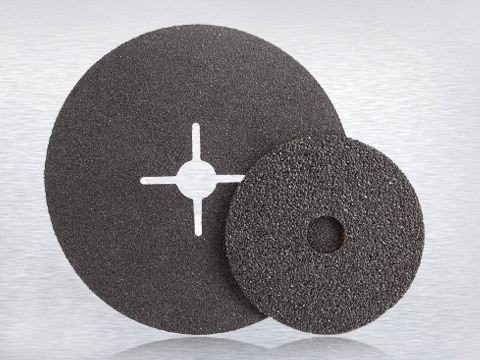 This five item below is a sequel for the last article about precaution and protection of glass fiber discs, and this part focuses more on the operation details and safe guards. 5. The one crucial precaution is to maintain the spindle rpm of the machine you're using not exceed the maximum safe speed of the China grinding wheel. 6. Always use cutting and grinding wheels with a center hole size that fits snugly yet freely on the spindle without forcing it. Never attempt to alter the center hole. Use a matched pair of clean, recessed flanges at least one-third the diameter of the wheel. Flange bearing surfaces must be flat and free of any burrs or dirt buildup. 7. Tighten the spindle nut only enough to hold the wheel firmly without over-tightening. If mounting a directional wheel, look for the arrow marked on the wheel itself and be sure it points in the direction of spindle rotation. 8. Grind only on the face of a straight China grinding wheel. Grind only on the side of a cylinder, cup or segment wheel. Make grinding contact gently, without bumping or gouging. Never force grinding so that the motor slows noticeably or the work gets hot. 9. For the safety precautions, make sure wheel and machine guards are in place, and that all covers are tightly closed before operating the machine. After the wheel is securely mounted and the guards are in place, turn on the machine, step back out of the way and let it run for at least one minute at operating speed before starting to grind. Why My Grinding Wheels often Crack? A Bend Flap Disc or a Flat Flap Disc? Which One Is Better?